Harrisburg-based rapper Mazon releases his third mixtape. 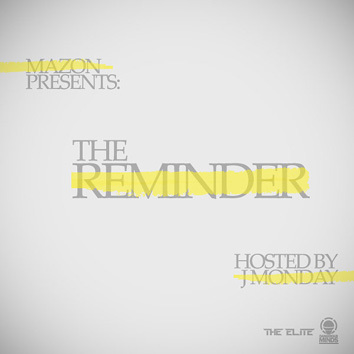 Harrisburg-based rhyme spitter Mazon just released his new mixtape, The Reminder. Click here to download it for free. Special thanks to Andre Bransford of Glimpse for introducing me to Mazon.